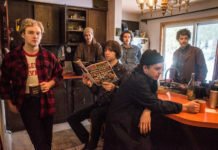 Die aus Bristol stammende Band SUPERSEED veröffentlichen ihr zweites offizielles Video zur Single Turn The Screw. Der Song ist von ihrem selbstbetitelten Album. Das Video kommentiert Regisseurin Katy selbst: “Having worked with the guys on the ‘My Time Is Now’ video I was really excited to get started on this one but I knew time was incredibly tight so I had to work smart. 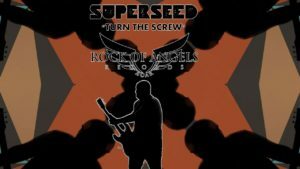 ‘Turn The Screw’ struck me as something of a fight song for Superseed. It had this real feeling of grit and determination; so paying homage to a favorite rock song of mine which has a similar feel, I set about creating this punchy, mind warping, kaleidoscopic look.